Adapt or createderivative works from the Alert Program®and call it your own! Sharebasic concepts and underlying theory with others to support success of the program with identified clients (adults and children). Tell peopleabout our program and give them a link to our website. adapt figures, clarify references, or offer other support for you to finalize your project with proper copyright and trademark information related to the Alert Program®. If this service is desired, it is critical to build sufficient time into your timeline to allow adequate support to occur. Receiving last minute requests adds enormous stress to all involved, and such deadlines often cannot be met due to current work demands and out-of-town travel. Prior proper planning is always prudent. It is best to allow at least 14 days advance notification. 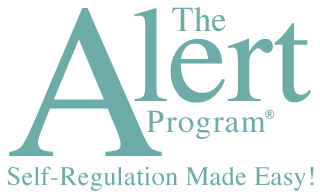 To ensure that the Alert Program® is implemented in an authentic way to promote optimal outcomes…and to legally protect against copyright infringement, we monitor and enforce copyright laws as they apply to Alert Program® information, materials, and products. TherapyWorks, Inc. reserves all rights in its intellectual property. After reading our “Copyright Guidelines” in its entirety, contact us if you have any questions. Note: TherapyWorks, Inc. understands that copyright issues can be complicated. In today’s world, many professionals do not understand or are simply unaware of the complexities of copyright law. The Copyright Clearance Center is a valuable resource for attaining general information about this topic. They provide many educational materials and support. An excellent video titled “Copyright Basics” provides core educational information and is easily accessible online.